In a disaster or any other situation that takes us off the grid, we will expose ourselves to insect stings and poison ivy, as well as strange food items that we aren’t accustomed to. Allergic reactions may ensue in susceptible individuals. When we develop an allergic reaction, it might be mild or it might be severe. If severe enough, we refer to it as anaphylaxis or anaphylactic shock. 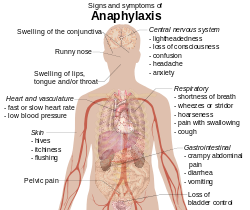 Anaphylaxis is the word used for serious and rapid allergic reactions involving one or more parts of the body which can become life-threatening. Anaphylactic reactions were first identified when researchers tried to protect dogs against a certain poison by desensitizing them with small doses. Instead of being protected, many of the dogs died suddenly the second time they got the poison. The word used for preventative protection is “PROphylaxis”. Think of a condom, also known as a prophylactic. A condom protects you from sexually transmitted diseases. The word “ANAphylaxis”, therefore, means the opposite of protection. The dog experiment allowed scientists to understand that the same can happen in humans, and had application to asthma and other immune responses. Severe allergic reactions may cause body-wide reactions called anaphylaxis that can be life-threatening. Anaphylaxis has become a timely issue because of the increased numbers of cases being reported throughout the world. When drugs are the cause, the explanation is likely that we are simply using a lot of them these days. Why foods should be causing anaphylaxis more often, however, is more perplexing. Is genetic manipulation of food crops to blame? Could contaminants be an issue, or perhaps pollution in general? In any case, the cause of many anaphylactic events is never identified; most are lumped into the “idiopathic” category (another word for “unknown”). Fumes from chemicals like Chlorine gas and other toxins can be dangerous in their own right without causing an immune or anaphylactic reaction. Although few die from simple allergic reactions, anaphylaxis is much more severe and, without intervention, the victim can die from respiratory or cardiac arrest. Body-wide swelling and rashes far from the site of a bee sting, for example, would be an example of an anaphylactic reaction. Other symptoms are exaggerated versions of typical allergies symptoms, with perhaps the addition of lowered blood pressure and fainting. In some cases, abdominal tract symptoms like cramping or diarrhea could be seen. The treatment for anaphylactic shock is straightforward: epinephrine via injection. Other methods of delivery, such as oral doses of antihistamines, are generally too slow in their effect to be of much use. Known as adrenaline in Europe. 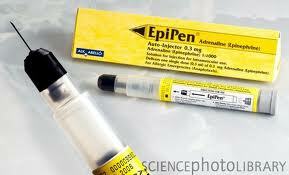 Epinephrine is given via auto-injector, with the most popular being the Mylan Corporation’s “Epi-Pen”. The process is simple with a dose delivered to the upper outer thigh. Once given, epinephrine narrows blood vessels and opens airways in the lungs. These effects can reverse hives, swelling, severe wheezing, low blood pressure, severe skin itching, and hives. A recent 600% price hike from the company that makes the Epi-Pen may put the drug out of the financial reach of many. If the auto-injector isn’t an option, vials or ampules of epinephrine are available (by prescription). 1:1000 epinephrine solution contains 1mg of drug per milliliter or cc of solution. For a person weighing 30 kg, 66 pounds, or greater, give 0.3 to 0.5 mg (0.3 to 0.5 mL) into the anterolateral thigh about the level of the bottom of your Jeans pocket. Repeat the dose every 5 to 10 minutes, alternating left and right thighs until improvement is noted (one dose if often sufficient). Remember that epinephrine will cause a fast heartbeat, nervousness and, perhaps, a number of other side effects. Of course, get the victim to modern medical care as soon as possible. It’s okay to get a little dirty! The increased number of allergies seen in the modern world may actually be the product of “good parenting”. Our efforts to keep our children with their noses wiped and their hands clean are helpful to stop colds and flus but may be a factor in making them more prone to allergies and infections later on. 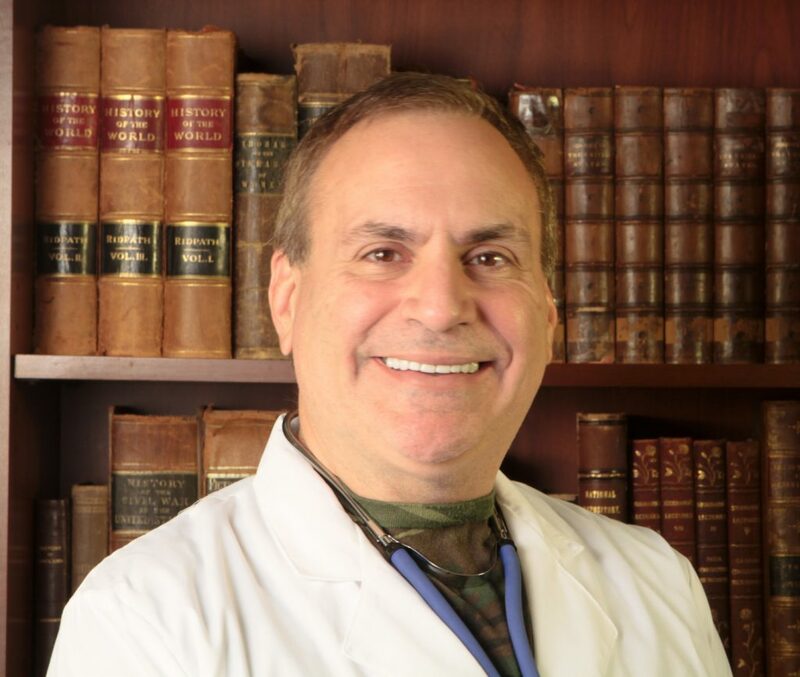 In 1989, researcher Dr. David Strachan suggested the hypothesis that the failure of children to be exposed to infectious bugs and parasites may be responsible for the epidemic of allergic conditions like asthma. This was called the “Hygiene Hypothesis”. The lack of exposure to microbes have since been tied to other diseases ranging from hay fever to multiple sclerosis. When most of us lived on farms or in less-than-pristine cities, we were exposed to plenty of germs from a young age due to time spent outside with animals or with lots of other people. Now the majority of kids aren’t motivated to go outside or, certainly, get dirty. In the final analysis, never getting dirty as a child may be hazardous to your future health. Avoid antibiotics: The medical profession may have been remiss in over-prescribing antibiotics, but there are antibiotics in food as well. Indeed, 70-80% of antibiotics are given to livestock, not to treat infection, but to make they grow faster and get them to market sooner. Stick with antibiotic-free eggs, milk, and meats. Avoid anti-bacterial soaps: Triclosan, the active antibiotic ingredient in many brands, has recently been banned by the FDA due to the risk of antibiotic resistance and the lack of evidence of any medical benefit. Use regular soap and water for washing. Tailor Handwashing Strategies to the Situation: If you’re in a city where open sewers run through the streets and people are tossing buckets of excrement out the window, have your kids wash their hands conscientiously. In clean environments where there isn’t a raging epidemic, however, don’t freak out over dirty hands. Don’t Bathe Every Day: Not only should your kids be exposed to dirt to develop their immune system, but bathing too often might do more harm than good. Daily showers removes protective skin oils and causes drying and irritation. You’re also washing away the good bacteria that lives on your skin. 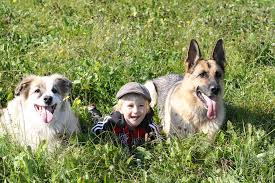 Get Your Kid a Pet: Not every kid has the good fortune of living on a farm, but they’ll benefit from a furry pet. Dogs seem to give more resistance to colds and allergic skin conditions like eczema than cats, but early cat exposure might give more protection against asthma. Why not have both? Get your kids outside when they’re young: In these days where we have legitimate concerns about children’s safety, you might be reluctant to let your kids go outside by themselves. Here’s an idea: Go out with them, to parks, wilderness areas, and other places where both adults and kids can reap real benefits. How about helping them plant and manage a garden? The more you encourage outdoor activities early, the more they become part of the next generation’s culture; let the kids get a little dirty, and you might give them a healthier future. Learn more about your immune system, allergic reactions, and over 100 other topics in our Third Edition of the Survival Medicine Handbook: The Essential Guide for When Medical Help is Not on the Way.